British Army Military Section Commander & 2IC Command Crib Cards. 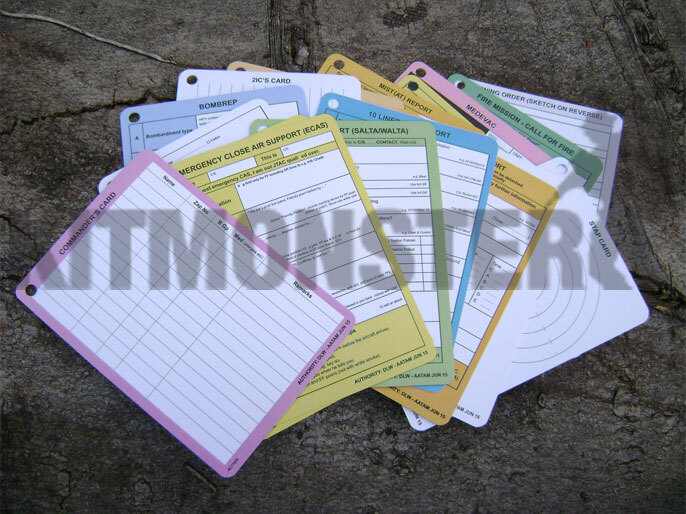 Set of 18, single sided Operational Aide Memoire Commanders' Slate Cards. Reproduced for us from the plastic cards issued for operations (June 2015 edition). 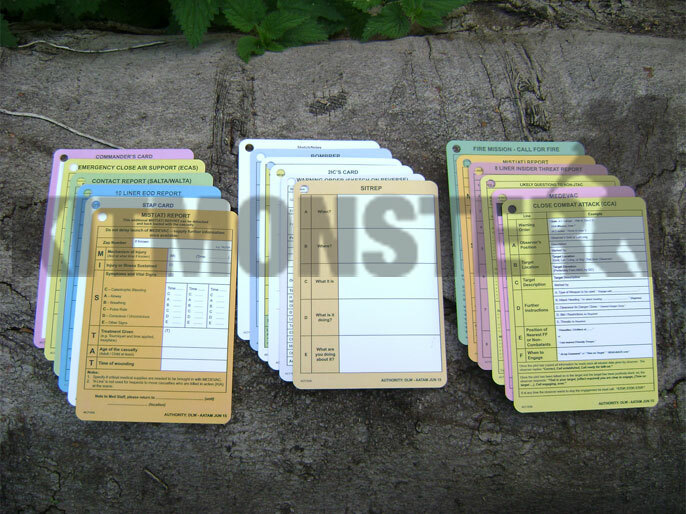 Full colour cards, these are pre cut, with rounded corners to fit an A6 Nyrex, and hole punched for a ring if required. Each single sided card measures 103 x 145mm, these are printed on high quality paper based card, not plastic, and will require waterproofing. We suggest covering these with Fablon or a similar plastic coating, to waterproof and allow multiple use.